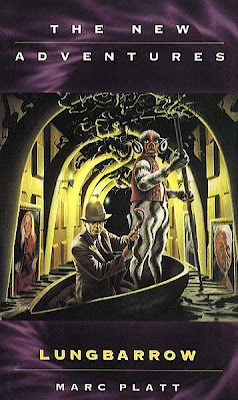 "In this, the seventh Doctor's final new adventure, he faces a threat which could uncover the greatest secret of them all..."
Unclear canonicity?! You can't buy phrases like that. 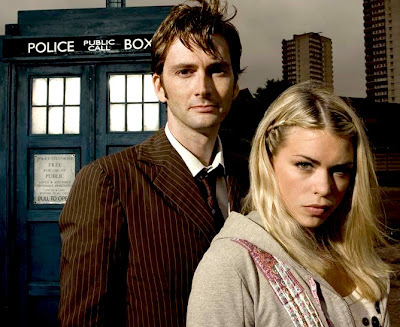 I've lost touch with Dr. Who, all I know is that Chris Evan's young wife Billie Piper was the latest Doc's handmaiden and I used to see Dalek's for sale in memorabilia sales when I was looking at books at CSK. As I recall they used to make big money but on close inspection were slightly tacky. Also 'pipe' has an equivocal meaning in French. 'Lungbarrow' is an expensive and much sought after paperback from Branson's company and although published in London all copies for sale are in the USA. The Dr. Who cult seems to be equally big there. David tennant played the 10th doctor... Not the 9th.